The Lesson 3.1 activity Is It in There? asks students to identify whether certain elements are found in a list of everyday objects – ranging from cell phones to blueberry muffins. 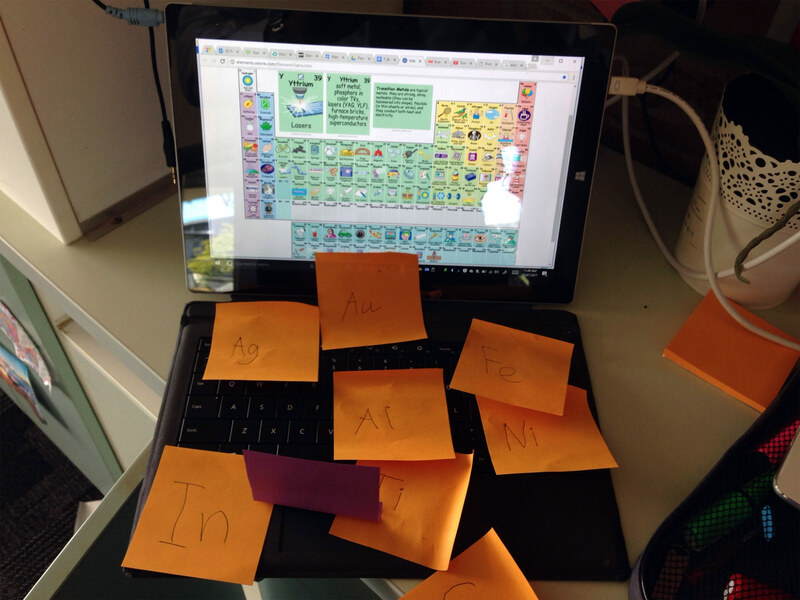 It’s a good one for introducing students to the prevalence of chemical elements in our everyday lives. Developing information search skills and reflecting on search strategies that worked best (for example, coupling of keywords). Elements in a laptop. Photo by Des Hylton. About the author: Des Hylton started teaching BHP in 2013. He currently teaches the course at an independent preparatory-through-twelfth-grade school in Australia, but he’s actually a science teacher by trade. At his school, BHP is taught over two years to year 7 and 8 students as part of the history/geography curriculum. Des teaches the class in five 50-minute sessions per two weeks. His average class size is 28.